Videophonics DVD 3 DVD 3 of 12. Do you or someone you know have trouble reading? Are you interested in helping those who cannot read learn to read? 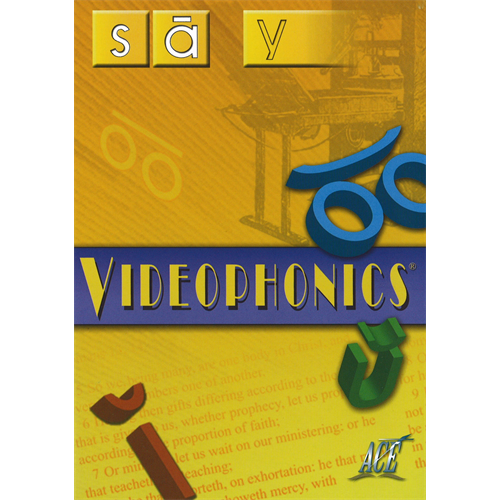 Accelerated Christian Education has designed Videophonics as an Adult Literacy program, which combines the phonics method to teach reading with today's technology. Videophonics is designed particularly for teenagers and adults; however, the program is proving to be effective wtih children as young as 9 years old. 76% of North Americans learn better visually than verbally. 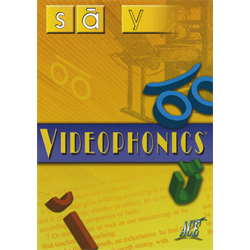 Videophonics combines audio, color art and action video making learning to read easier than ever. This phonics-based program includes 12 DVDs and 12 Paces which cover recognition of each letter sound, blending letters, letter formation, high frequency words, distinguishing vowels, consonants, diphthongs and digraphs, reading and writing exercises. Required Resources: Videophonics Pace 3.